The artisans sweat for months in shaping and moulding clay. Every idol shaped here is unique in its own way. Every idol speaks volume about the power of spirituality. The artisans travel to the adjoining parts of Odisha, Jharkhand, and Delhi bringing life into the clay sculptures. Walking into the pandals admiring the beauty of the idol, getting eye-locked with the idol is the most common thing that has happened with almost everyone. The artisans of Kumartoli are the reason behind the divine beauty of the holy deity. The festivity is accompanied by fun, frolic and food along with the spiritual connection. The Purohits and Pandits are busy scheduling the auspicious home coming of the Goddess. 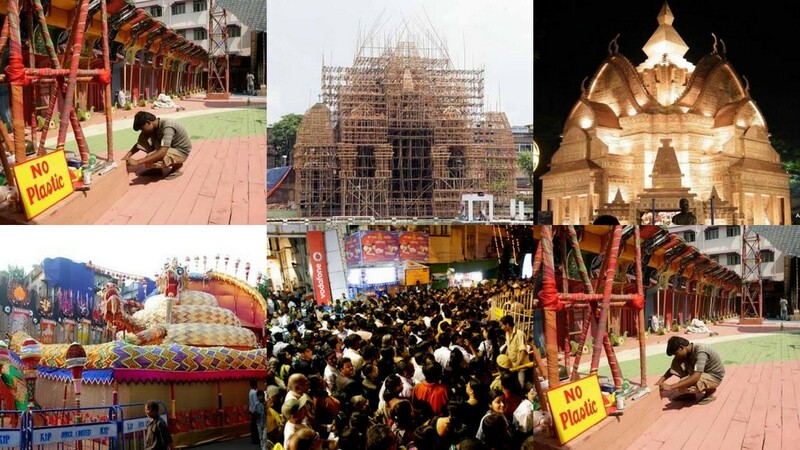 The puja committees are engrossed in the planning the big day when the people would eat, drink and enjoy sleepless nights in and around the puja pandals. The capital investment for building safe pandals for the Goddess as well as the spectators has been planned. The time of execution is nearing when the crowd would turn into crazy mob. Kolkata- the city of joy crossed all the boundaries of joy. The streets of Kolkata are always flocked with crowd. But this time of the year people flock the streets to shop till they drop. 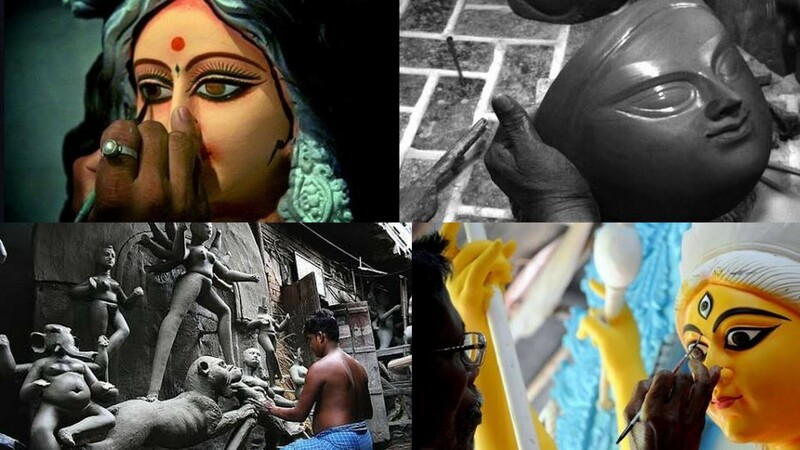 The puja bonanza and discounts hit the markets of Kolkata. One of the cheapest and fashionable destinations for the people smells of the fresh stock of textile and handloom works. From Espanlade to South City mall, none of the shops wear a deserted look. People travel in metro from Rabindra Sadan to Salt Lake engrossed in the crazy spree. It’s just September and Kolkata has already struck by the Puja fever. The families are busy shopping for the children, relatives and themselves. The girls confused in the streets of the “New Market” deciding between the Anarkali Suit and Palazzo pants. The gents are forced inside the trail room and the ladies waiting outside ready to decide between funky t-shirts or ethnic kurtas. Some of the men enjoy the famous Kolkata Kathi roll while their women get lost in the heap of saris ranging from silk to kota, tant to sambalpuri. 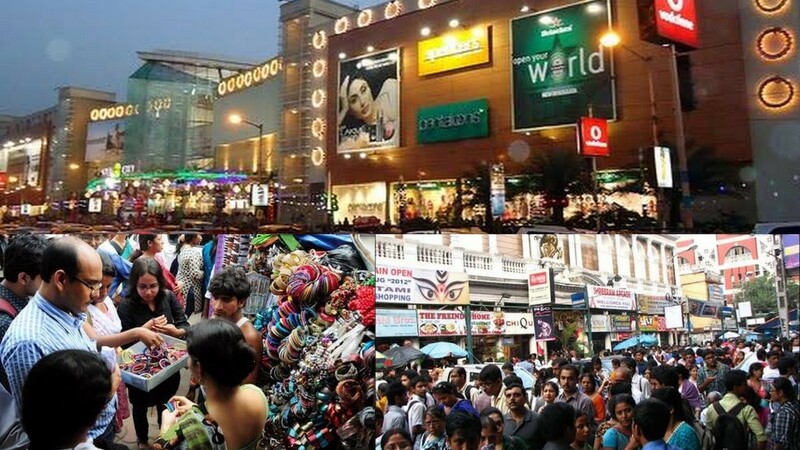 It’s excitement that fills the spirit of the streets and shops of Kolkata. The labourers who work in building the pandals, dhakis, toy sellers etc. dream to earn huge amount from the puja fairs. They travel from their secluded villages to the towns with the hope of returning home along with some of amount of happiness and money. Artists and craftsmen work hard for months by making toys, jute items, bamboo furniture, pickles, ceramic cups, etc. These items are the ray of hope for their families, a ray of hope that would bring happiness for a period of time. The labourers work hard to bring together the themed shamiyanas, return home to celebrate Puja with family. They sweat in the sun and get drenched in rain to give the committee architectural satisfaction. The traditional dhol played during the auspicious days called dhak, played by the traditional drummers who are called the Dhakis. 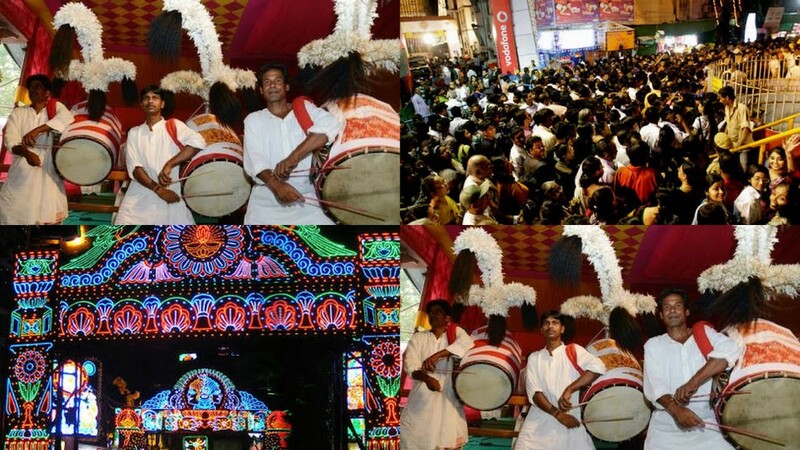 The Puja celebrations are incomplete without the beat of the dhaks at the pandals. The dhak and the shankh say it loud. Around several dhakis say 100 or so travel to Delhi from Malda and Medinipur bringing the spirit of celebration live. 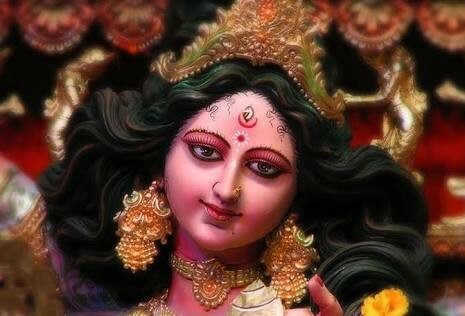 The cds and cassette recording doesn’t give goose bumps to the crowd, it is the beat of the dhak that rejuvenates the spirit of the Durga Puja. The dhak tune is different for every ritual such as chokhhu daan (eye presentation), patha bali (goat sacrifice), bisarjan (immersion ceremony), Sandhya arati (evening offerings), sandhipujan (worshipping at the conjunction of two phases of the day) and the dhaki keeps playing at every ritual.